Oakland - The Seated Diesels discuss "The Radetzky March"
Diesel, A Bookstore in Oakland welcomes The Seated Diesels back to the store to discuss The Radetzky March by Joseph Roth on Tuesday, September 16th at 7pm. The Radetzky March is Joseph Roth’s masterful portrayal of an Empire’s rise and fall, framed by the story of three generations of the von Trotta family. From the battlefield of Solferino, where a young infantry man’s actions catapult his family into the aristocracy, to the entombment of the last Habsburg emperor and the moral awakening of a privileged noble, Roth’s classic saga encompasses the entire social fabric of the Austro-Hungarian Empire. Joseph Roth was born into a Jewish family in the Austrian-Hungarian Empire and served in the Imperial army in World War I. After the war, he became a journalist and travelled widely, including making numerous trips to Russia. During this period, he wrote several novels, novellas, and volumes of short stories. He became a star correspondent for the Frankfurter Zeitung, and in 1932 published his masterpiece, The Radetzky March. As a Jew, a leftist, and an outspoken critic of Nazism, he knew he had to flee Germany on January 30, 1933, the day the Nazis took power -- never to return. Thereafter, he lived hand-to-mouth working as a journalist alternately in Amsterdam and Paris. He died in the latter city in alcoholism and poverty in 1939. Joseph Roth is currently considered a "single author." If one or more works are by a distinct, homonymous authors, go ahead and split the author. 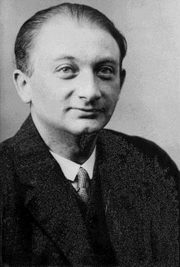 Joseph Roth is composed of 9 names. You can examine and separate out names.